PORTLAND, Ore. – Sept. 20, 2013 – The 18th annual Holiday Ale Festival will take place Dec. 4 through Dec. 8 at Pioneer Courthouse Square, located at 701 SW Sixth Ave. in the heart of downtown Portland. The popular event will feature at least four-dozen big, bold ales designed to fend off the cold chill of a long winter night. 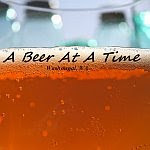 From Belgians, barleywines and CDAs to winter warmers, porters and stouts, these beers have either been crafted specifically for the event or are hard-to-fine vintages, underscoring the event's reputation as one of finest gathering of winter beers anywhere in the nation. To enter and consume beer, the purchase of an entry package is required. The general admission package at the door costs $30 and includes the 2013 tasting mug and 10 taster tickets. Advance general admission packages cost $30 and include the tasting mug, 12 taster tickets and expedited entry all five days. Advance VIP packages are available for $65 and include the tasting mug, 28 taster tickets, a bottle of water, access to VIP lines (including special tappings) and express entry all five days. Express re-entry requires a wristband and the 2013 mug, and is subject to the festival's capacity. Previous year's mugs will not be filled. Advance packages will be available online at www.holidayale.com in early October. Returning to the event is the 10th annual Sunday Beer Brunch, taking place on Dec. 8 from 11 am to 1 pm on the upper level of Pioneer Courthouse Square. The auxiliary event features European pastries, cured meats and artisanal cheeses to accompany an assortment of exclusive vintage winter beers not available at the festival itself, plus special large format bottles to be shared. 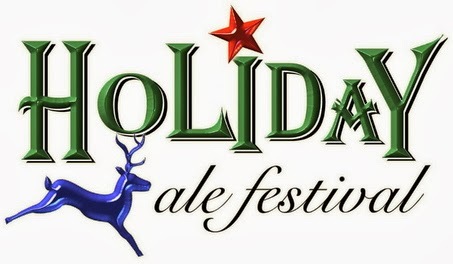 Tickets cost $75 and will be available at www.holidayale.com in early October.